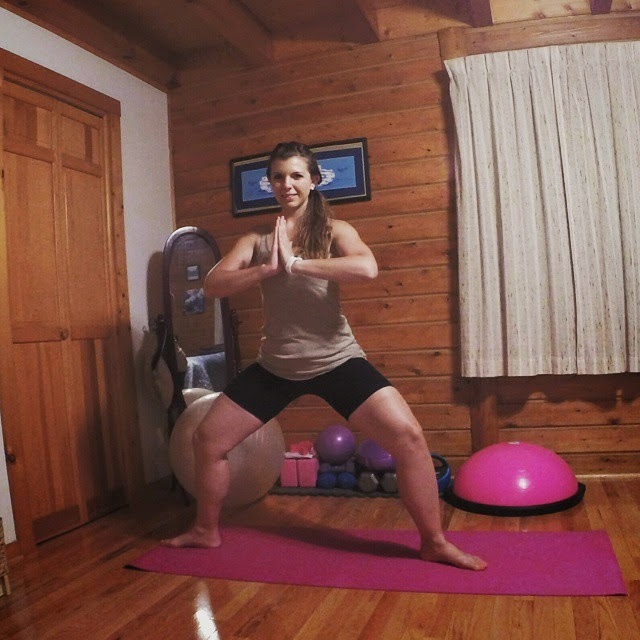 For anyone who’s been following me recently on social media (Instagram, Twitter or Facebook) you’ve probably seen me in more yoga poses than you know what to do with 🙂 That’s because for the past 14 days I have been participating in the #LoveYourHips Yoga Challenge hosted by Lora Hogan and Brittany Suell and sponsored by prAna, Energy Muse Jewelry, and Shine Athletica. 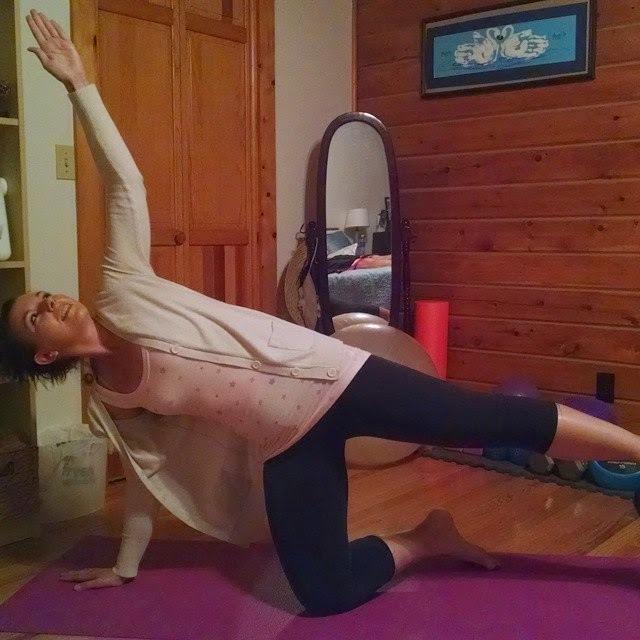 Each day the hosts would post the pose of the day to Instagram and would include variations for less bendy folks (like me!) 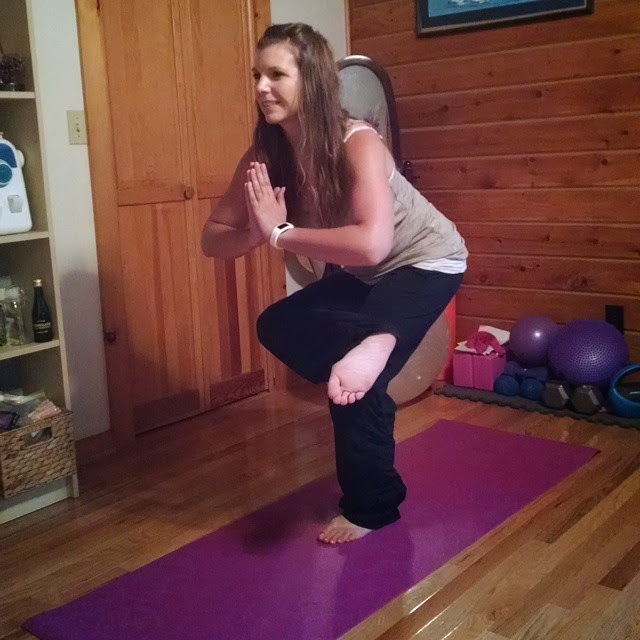 and more advanced yogis. 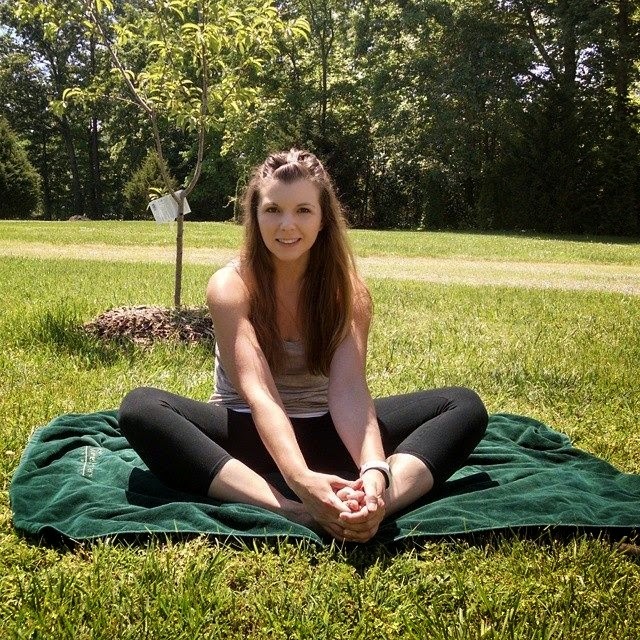 As Lora and Brittany reiterated throughout the challenge yoga is for everyBODY! It was fun! Each day I looked forward to finding out what the next pose was. It was fun to try new poses and go deeper in poses I already practice regularly. I loved the interaction with the hosts and the other women participating in the challenge. 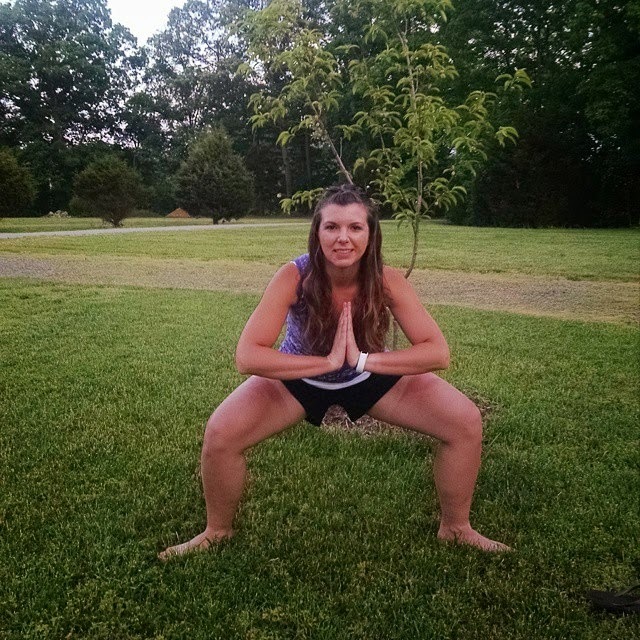 I’m also excited that I have 14 great hip openers in my arsenal! 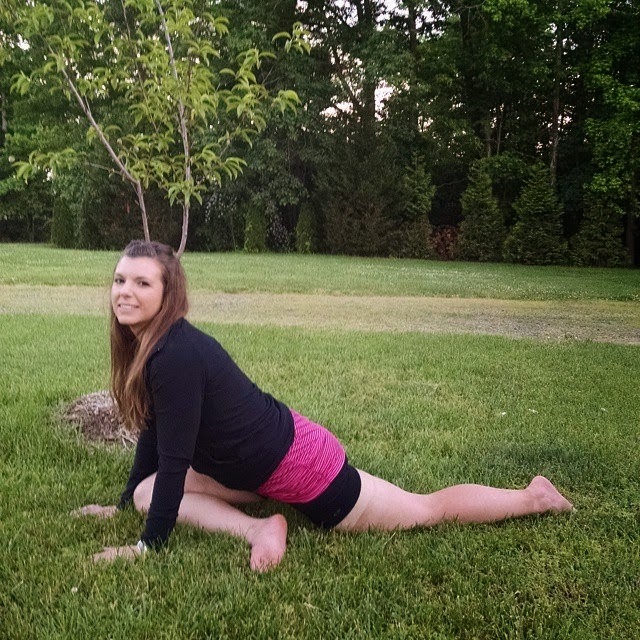 Accepting my body for where it currently is in regards to flexibility. I would see beautiful challenge photos from women who look sleek, strong and flexible in the pose of the day and be envious. 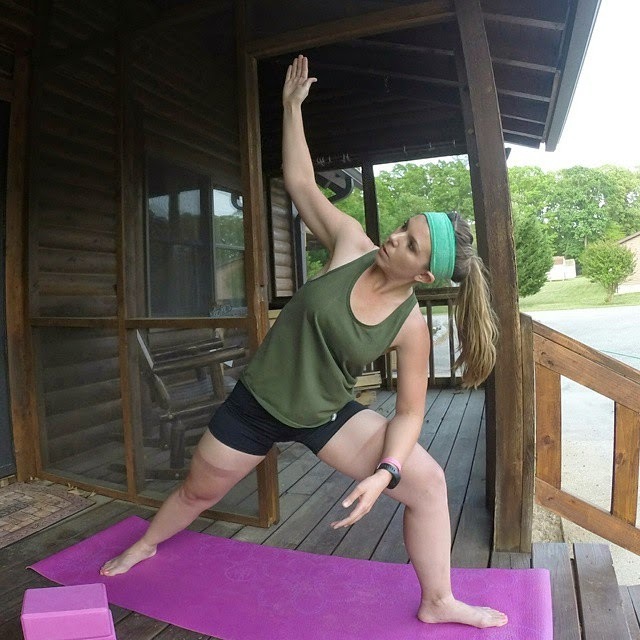 I would see myself in photos and think that I looked so silly with how un-bendy I am. 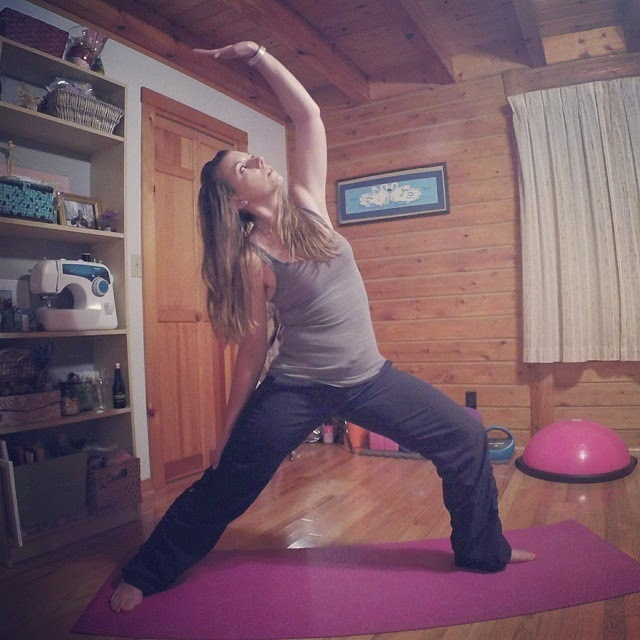 I have never been flexible, and I used to say that I could never do yoga because of how inflexible I am. 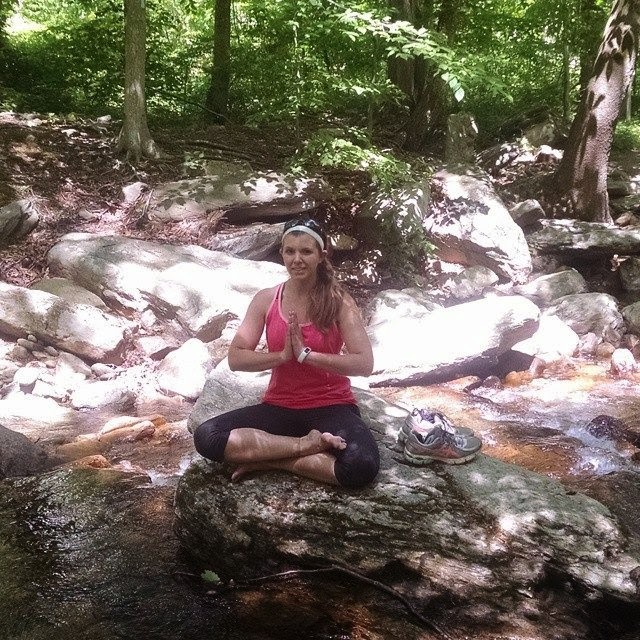 But the more I run, the more I find that I need yoga. 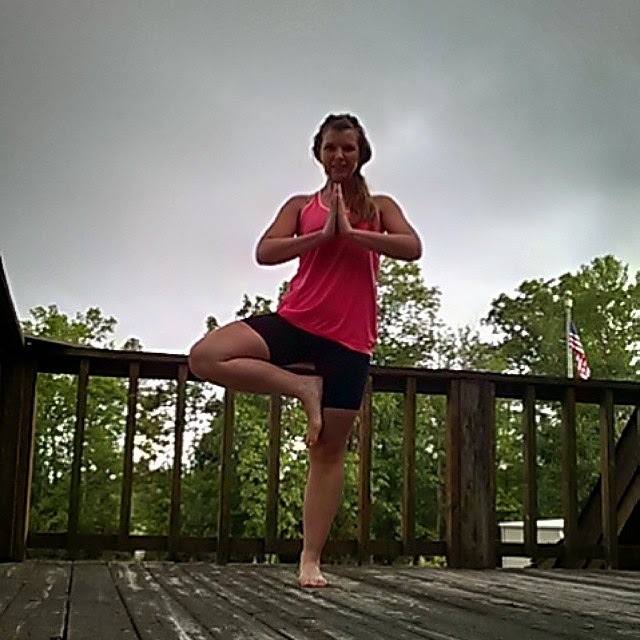 I received a few much needed reminders throughout the challenge that I should not compare myself and my yoga journey to others. Now on to the fun stuff! 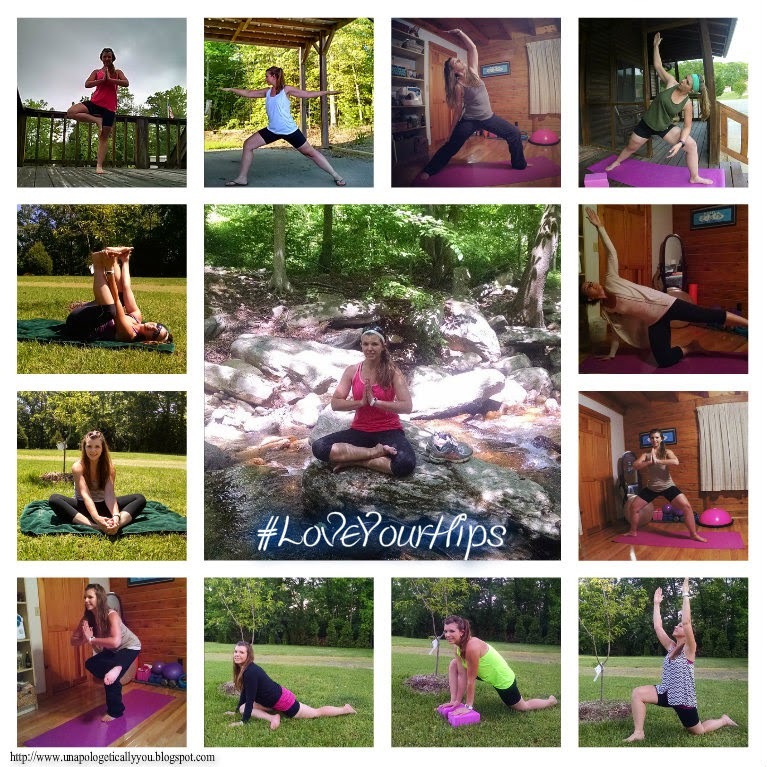 You might be wondering which poses were included as part of the 14-day #LoveYourHips Yoga Challenge. Below are each of the challenge poses. 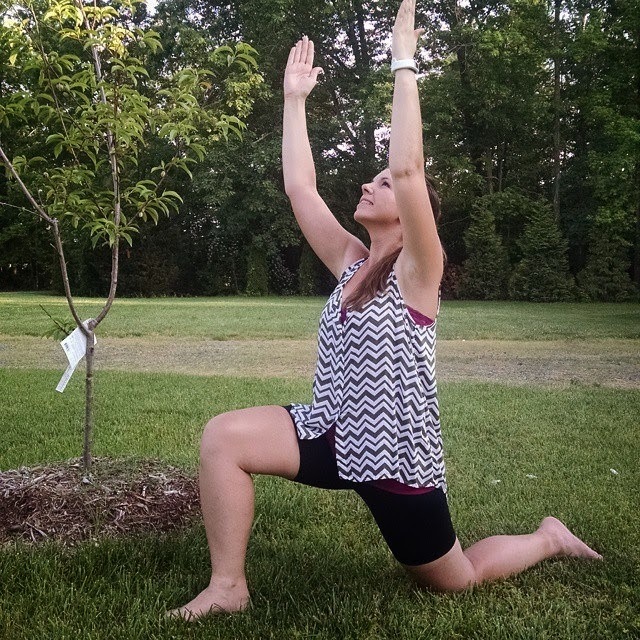 If you are new to yoga and are interested in a step-by-step tutorial check out Lora and Brittany’s Instagram. 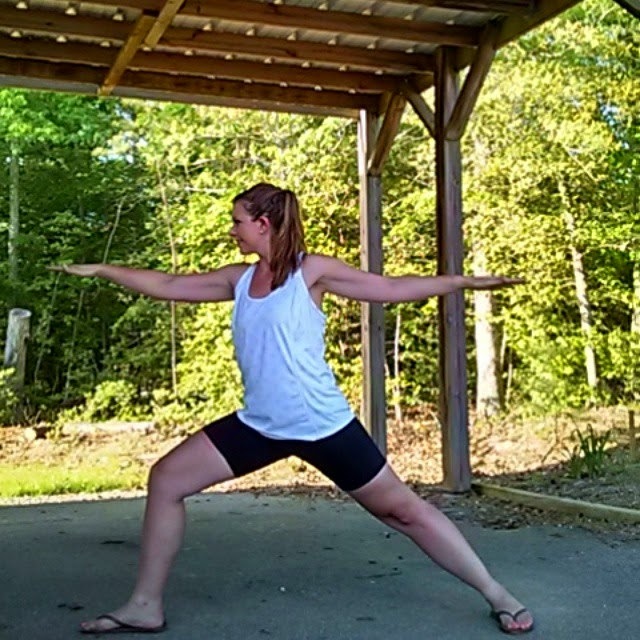 As you look through my challenge photos below– keep in mind, I am a beginner with tight hips. I modified almost every pose. I had fun and I learned a lot. I hope you enjoyed following my journey!